Thanks to grant funding from the Kentucky PRIDE Fund, numerous illegal dumps have been identified and cleaned in Garrard and Lincoln Counties over the last several years. Under the direction of the merged solid waste department, all illegal dumps found in the two counties are inspected for volume and hazard level and cleaned accordingly. 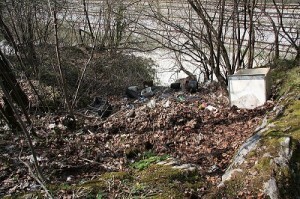 If you would like to report an illegal dump, please call 606-365-9779.